Highly experienced and qualified oil heating engineers. Oil is one the cheapest ways of heating your home as it is a highly efficient fuel that delivers an excellent return on every unit of energy used. Modern condensing boilers utilise the hot flue gases that would be wasted in a standard boiler, achieving efficiency levels of 90% plus. Replacing your standard oil boiler with a highly efficient modern oil condensing boiler is a relatively straightforward process. You can achieve an energy efficiency rating of up to 98% with a modern oil fired boiler, especially the latest condensing models. An oil-based heating system is much safer than gas. 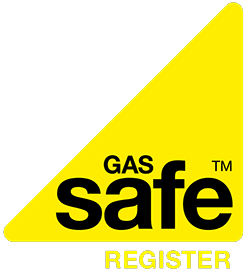 Gas does't have the best reputation when it comes to safety. Invisible fumes can be difficult to detect and are easily ignited by a naked flame. In contrast, any problems with oil systems can be identified and rectified quickly. Oil heating can be used in conjunction with renewable sources to keep your home warm to ensure you have more than one option to choose from when it comes to heating your home. There are around 4 million homes in the UK that are not connected to the gas grid. If you are among those homes that are not connected then oil heating could be the perfect alternative. Our team of experienced oil heating engineers provide a thorough servicing for your oil heating system that will ensure it is safe and working efficiently. We offer our oil heating servicing at such a fantastic price as we believe it is important for everyone to be able to have this service carried out without having to think twice due to the cost. If your oil heating system has broken down we can respond quickly to ensure you have it back fully functioning as quickly as possible in order to minimise disruption to your home-life. Our oil heating engineers diagnose and repair any problems without delay at great prices.